Is finding the right data bothering you? 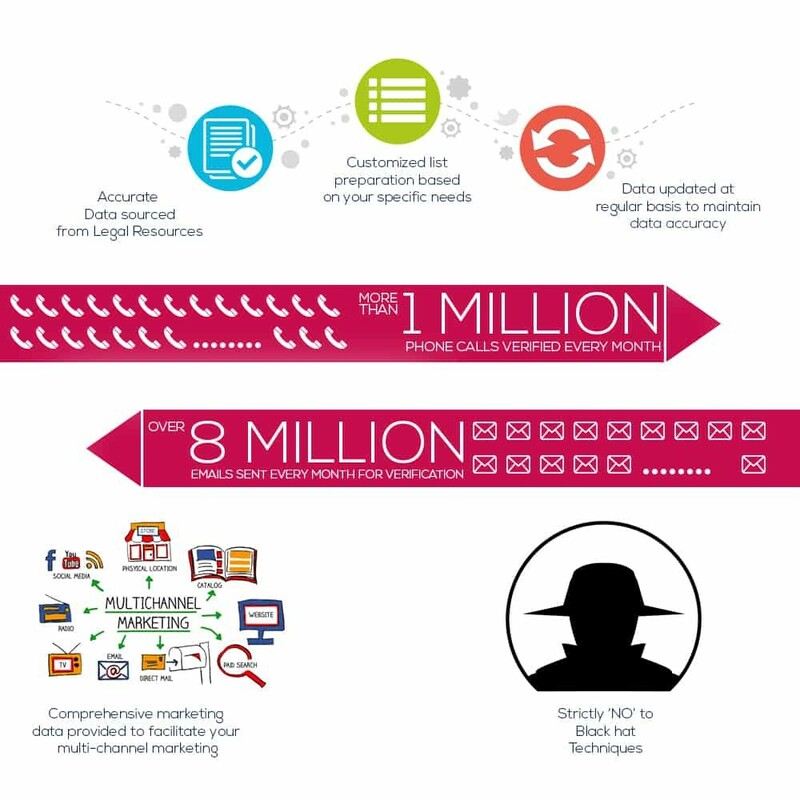 Has obsolete data been a main concern of all your B2B campaign? Feeling baffled that the old names in the contact lists are no longer of the decision -makers. Well, it is high time to adopt Blue Mail Media’s B2B Mailing list as your trusted marketing vendor. Report submitted by Marketing Sherpa highlights that contact information downgrades by 3% monthly and by 40% annually. Summing up around $130,000 revenues loss is incurred with every 100,000 contacts in your database. Blue Mail Media’s highly specialized B2B mailing list revises all your sales leads contact database on regular intervals to remove wear out details to save your time, money and resources. Blue Mail Media has highly segmented B2B databases that help reach your targeted contacts with minimum time driving greater ROI and ease. Our B2B mailing list can compile, for example, all companies from a specific location, industry or revenue bracket, their decision makers with accurate contact information; all the markets that they operate in and other details that are readily available to help add fuel to your various marketing campaigns and sales campaigns.